Word of warning, this is going to be one hell of a long waffly post so pull up a seat and grab a cup of tea. You may be here a while... It all began in November of last year when I thought it would be a good idea to have my hair highlighted within an inch of its life. Not only this, but I decided that I wanted to have this done at a salon that was offering 50% off hair colour (should been my first warning sign) that I've never been to before. Queue disaster. 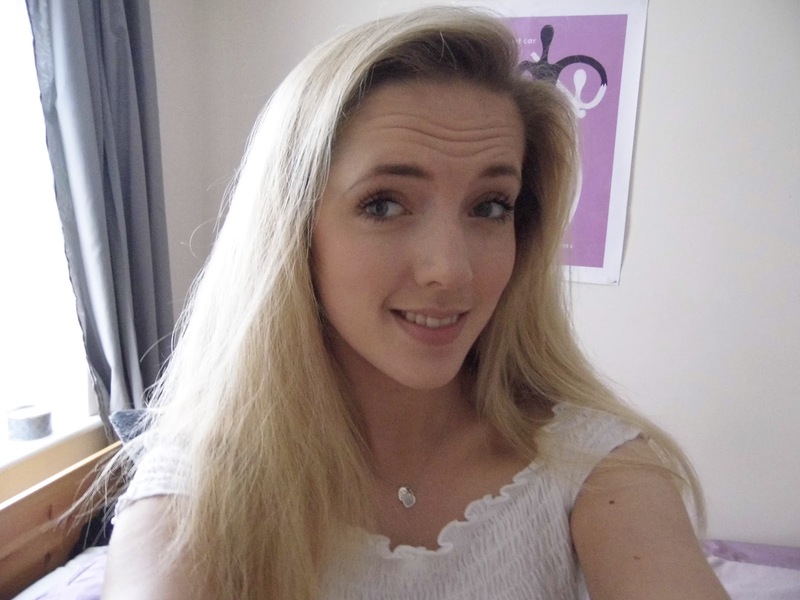 Now, the photo on the left doesn't look all that bad or different to what my locks are sporting now. Sure the tones were brassier, nothing that some purple shampoo couldn't have fixed, but I wouldn't exactly call it a hair disaster. That is, until I realised that the back of my head and my roots had been left virtually untouched. Looking at the shabby dye job in the right photo still brings back painful memories! What effectively went so wrong is that the stylist had highlighted my hair without foils which was why the blonde was so patchy. 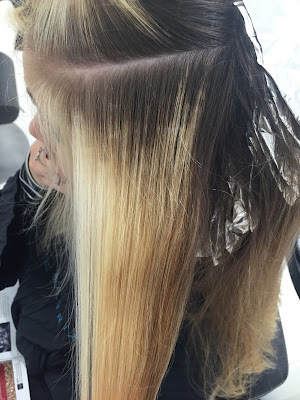 On top of that, he also didn't use any toner so the blonde I was left with was brassy and yellow - a look that completely washed me out and resulted in my hiding in my house for 48 hours until I could get it fixed. I know, I know #firstworldproblems but I live in a very student-y area and its rare for me to venture outside my house without bumping into someone I know. If any of you out there have had a bad dye job then I'm sure you'll sympathise, let's just say I worked from home those two days until I found a salon willing to help me out on short notice. I was pretty desperate at this point and avoiding seeing the guy who would then become my boyfriend at all costs. Cringe. Having had two days to dwell on how much I hated my hair, I rocked up to that salon on a rainy Friday morning with the mentality that I wanted the stylist to get rid of everything that had been done wrong to my hair. I therefore walked out a brunette... she'd had no choice but to dye over the gross blonde and said it would fade back to blonde over the course of the next few weeks. Although this was semi-true, the weird mix of colours meant I was left with a reddish-blonde hue that did nothing for me at all. At the time I was so happy that my hair had been stripped of its yellow-ness but this was very much a temporary fix. Six weeks later and I made an appointment at my local Toni & Guy salon that I've been going to for years effectively begging them to fix it. I really appreciated the stylists telling it to me straight. This was not something that could be fixed overnight. So in January of this year I had my first session where I showed my trusted hairdresser the 'goal' colour that we were working towards and she tried her best to thoroughly go through my long locks and work her damage control. Because I have such a huge amount of thick hair, this wasn't the easiest task but she successfully managed to erase plenty of the redness (thank god for toner!) and I immediately felt better. A bit more like myself. I went back in March, specifically a week before my 21st birthday, to follow up and finally came out with a colour that I loved through and through. 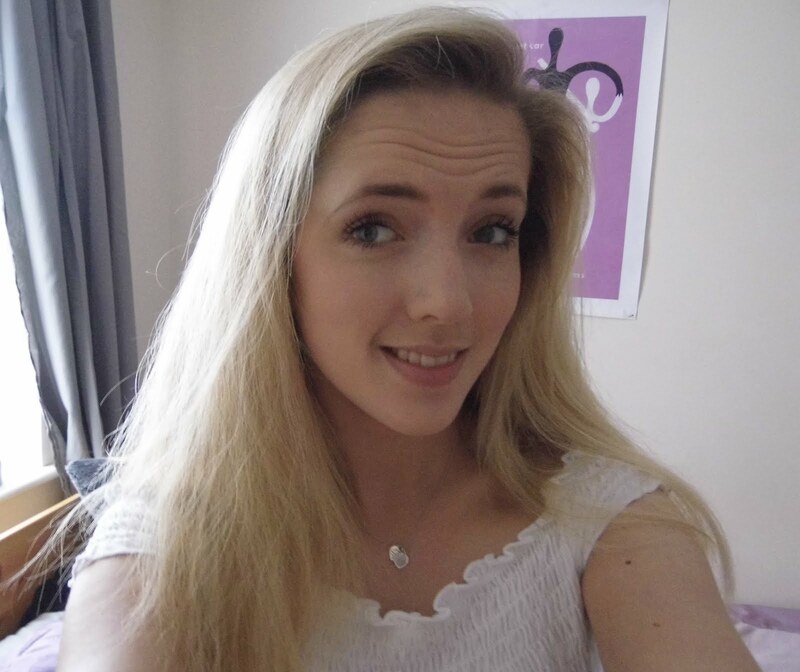 I love how natural it looks because its not too blonde and just makes me feel a bit older and more sophisticated. Through all the ups and downs my hair has been through the past six months or so, I've been working extra hard in keeping it hydrated and conditioned. I have quite fine hair that gets greasy quickly and can also be on the frizzy side. Basically, my hair just rules my life! Having said all this, you can understand why its so hard to find haircare products that cater for all these quirks. But the OGX range has totally blown me away and I've remained faithful to them throughout my hair drama! The products are so hydrating and lightweight that they clean my hair without leaving it with that artificial squeaky, dried out texture. 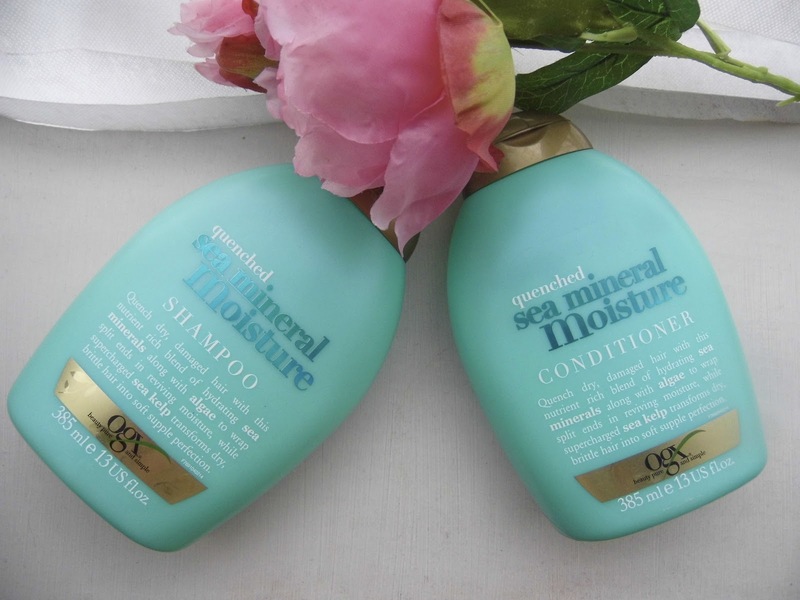 Right now, I'm loving the Sea Mineral Moisture range because the scent takes me back to my New York holiday last year. Because of all the time I spent in and out of salons, and because highlighting your hair is possibly the worst thing you can do for it, I also invested in a couple of OGX leave-in conditioners. 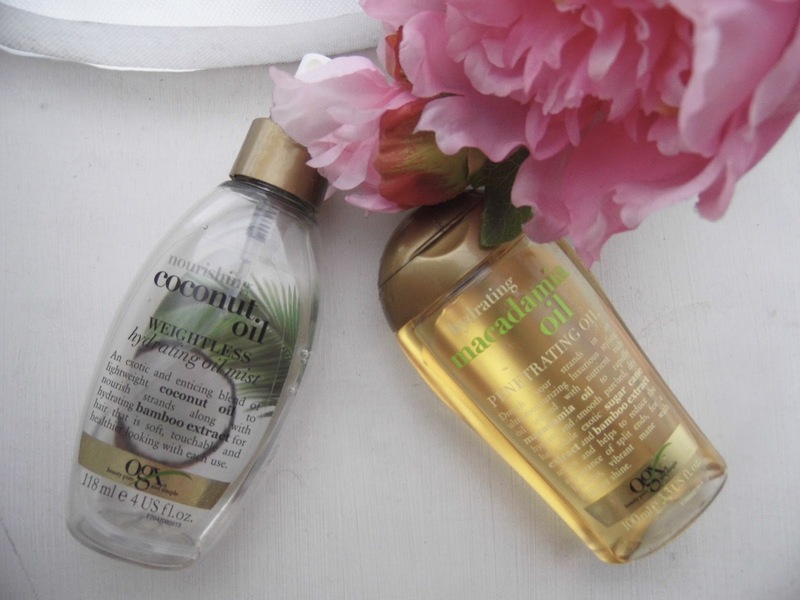 The Nourishing Coconut Hydrating Oil Mist is perfect for days when my hair is feeling a little dry and frizzy. I also helps to tame any flyaway hairs which is ideal when my hair just doesn't want to behave, i.e. pretty much every day give or take. For days when things are feeling really dry or when I would usually indulge in a hair mask, I apply the Hydrating Macadamia Oil Penetrating Oil (not the catchiest of names granted). This stuff smells amazing and leaves my ends feeling so soft and luscious - seriously, I can't recommend this enough. And this isn't a paid-for advertorial piece, I just adore OGX products that much. Last but certainly not least, to wind up this epic haircare post, I thought I'd end with what brushes I've been using. 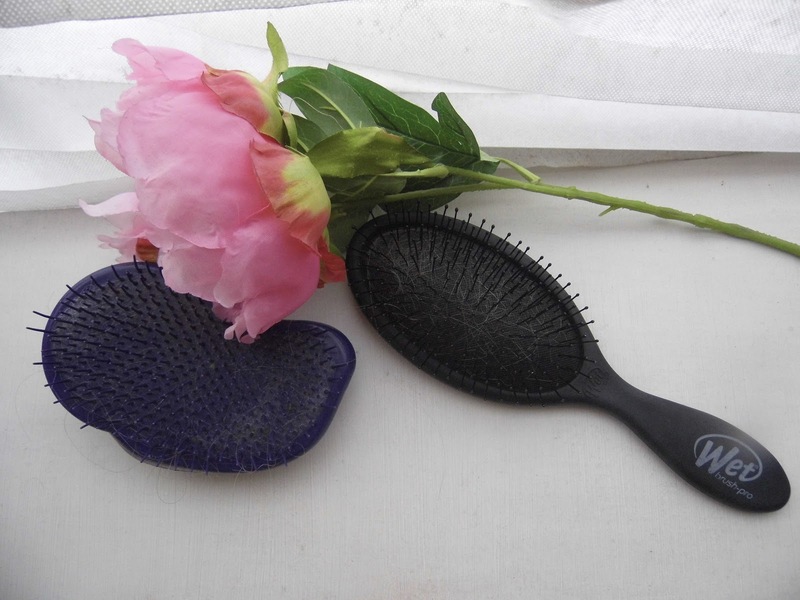 It's not secret on LydiaLulu that I'm a Tangle Teezer kind of girl. In fact, I own three - one for my handbag, one for the shower, and one for more everyday 'my hair is a mess' emergencies. But when I purchased the Anna & Lily Cult Beauty Box last month - as if I would be able to resist - I finally had an excuse to test the much coveted Wet Brush. And boy, did this blow me away. As a result of all the hell my hair has been through the past few months, although its looking lovely and really healthy, it has a tendency to knot so easily in the shower. The kind of knots my Tangle Teezer can't even handle - shocking, right? Queue the heaven that is the Wet Brush, the soft bristles and sturdy handle mean that I can successfully comb my crazy hair in a matter of seconds. Let me repeat that, mere seconds. I know it's not the most exciting product on here but it was absolutely worth a mention, if you have thick, untamed hair like me then you need this in your life. So there it is, my quest for blonde hair turned epic saga. I hope this post wasn't too boring but as a beauty blogger I felt like it needed a mention because its a huge part of my everyday beauty routine. Plus, who doesn't love ready about dodgy dye jobs? Just cause I write about make-up on the internet does not mean I'm exempt from making bad beauty decisions... far from it. But we're back on track and I'm feeling pretty damn pleased with my blonde locks.